The Scholars’ final assignment for the fall semester was to write a foreword to a new edition of the 1993 volume Catholicism, Chicago Style by Ellen Skerrett, Edward Kantowicz, and Steven Avella. They had read the introduction to this volume as their very first assignment for the course back in August. This final assignment gave them a chance to revisit the text with the benefit of fifteen weeks of other readings on various aspects of Catholicism in Chicago, the United States, and across the Atlantic. 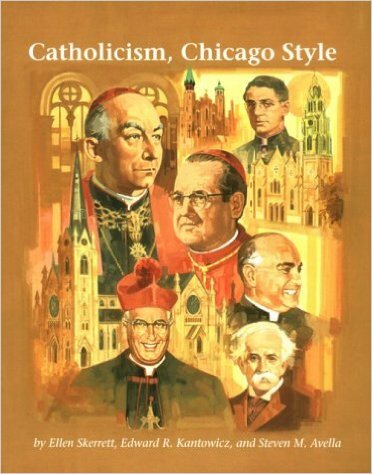 In the original introduction, Skerrett, Kantowicz, and Avella argued that a distinct form of Catholicism exists in Chicago that is grounded in five historical sources: ethnic diversity; close identification between parish and neighborhood; able Episcopal, clerical, and lay leadership; social and political liberalism; and “a soaring self-confidence.” The Scholars’ posts reflect on this thesis, its reasons, and its evidence. As you will see, the students had a range of reactions upon re-reading at the end of the semester. And Claire and Dan offered new historical sources – education, women religious, and the city itself – to be considered alongside what the original authors proposed. At the end of their posts, each Scholar shared some of her or his thoughts about a potential research project for the spring semester. Architecture, education, foodways, labor, the memory of Jacques Marquette, novels, organized crime, social programs, and women religious represent just a few of their many ideas for their primary-source research papers. Check back in January to learn more!